Easy to put up and looks nice. .. 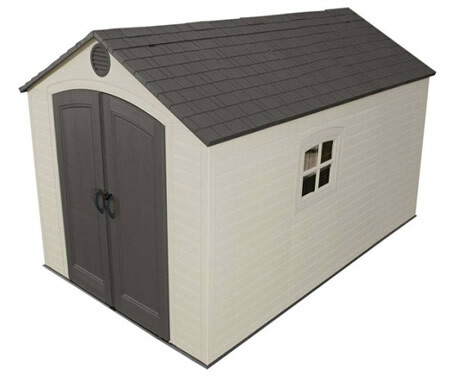 The 10x8 Newburgh steel shed will match any backyard with it's eggshell and coffee colors. 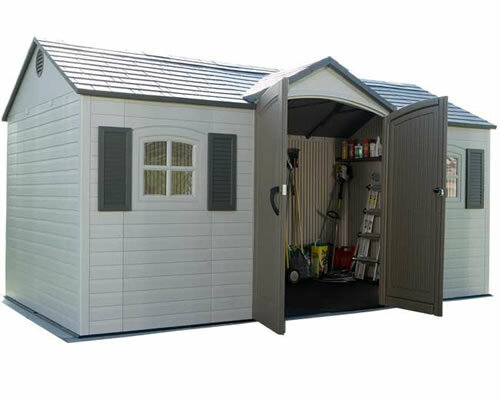 Arrow Sheds also give you the lowest priced sheds! Running out of storage space in your home garage? 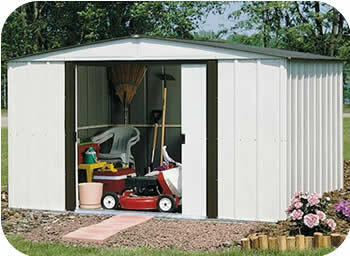 Remove the clutter and store all your lawn and garden tools in your own backyard storage shed! 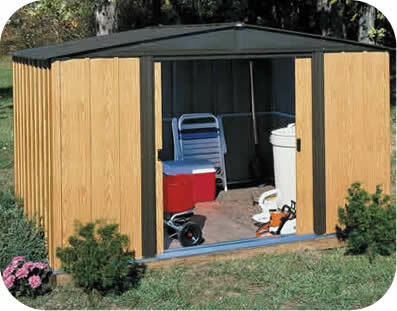 Our Arrow 10x8 Newburgh metal storage shed is the perfect solution at a great price. 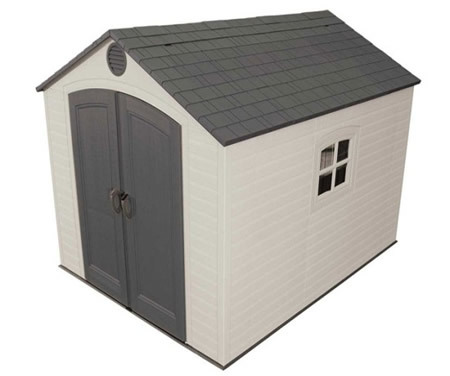 The gable styled roof along with Arrow's engineered design brings you a stylish and durable storage shed. Pad lockable doors keep your stored items secure! 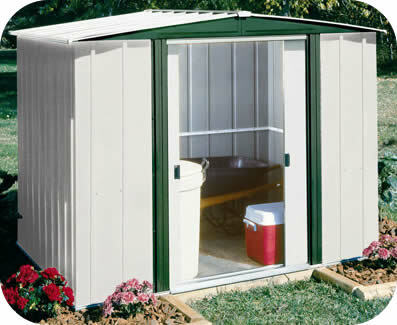 Interior Dimensions: Width: 118 1/4" Depth: 90" Ht: 69 5/8"
Door Opening: Width: 55 1/2" Height: 58"